Project objectives management is the work process that forms the core of project management, and as shown in the outline of project objectives managementconsists of life cycle management, scope management, cost management, time management, quality management, earned value management, report/change management and delivery management. What is important in project performance is: (1) to unify the route and target of all the members of the project team by making the target definite and concrete, (2) to give assurance and reliability throughout the period of performance of the project for the customer, sponsor and project team members, by conveying a report on the present situation and the policy of solution about problems, (3) to maintain transparency and accountability (responsibility for giving fruit) of the operation of the project for the customer, sponsor and project team members, and (4) to seek optimization for achieving the target by determining order of priority. It is the aim of a successful project to devise a plan for performing the project by using these as a basic policy of performance. The life cycle plan is to manage the conception of a project up to the realization of the target by dividing them into several phases, an example of which is to show the guideline of searching for an optimum life cycle cost on the balance of the acquiring cost and the operation/maintenance cost through analysis. The main purpose of scope management is to make the target intended by the project concrete and to make the range of services definite. To attain this, it is also necessary to carry out initial design and make the specifications definite, which is called front-end planning. 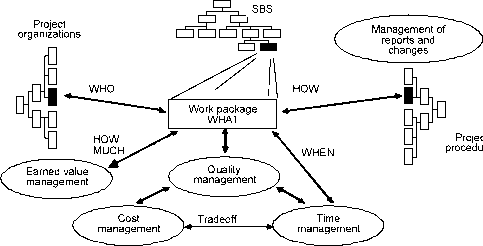 Also, as shown in the interrelations among objectives management processes in Table 4-5-2, scope management plays the role of supplementing management by having an optimum balance in terms of integration, through dividing up the services into fragments of the level of work packages by means of the WBS (work breakdown structure), the relations of cooperation or tradeoff among the work processes such as cost management, time management, quality management, etc. by the work packages. Progress management is also carried out by making comparisons in time series among allocation plans of various resources, results and outputs, referring to the WBS as the standard. The exchange of information and reporting(internal or external) the management of reporting changes occurring at all times, together with the management of the delivery of the fruit of the project, are also important functions as part of the project management work. 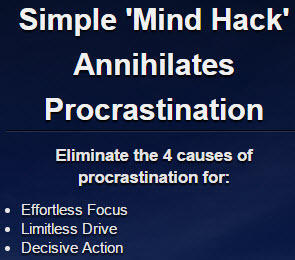 Who else wants to become the next Tony Robbins? 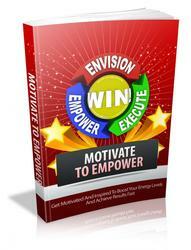 Discover The Secrets To Becoming Highly Motivated By Tapping Into This Secret Vault Of Training Modules For Personal Development. Get Access To The Top Secret Strategies Used By A Former Nobody To Turn Himself Into A Visionary And Leader Through Personal Development.